WHAT IF GETTING A JOB AFTER COLLEGE WAS GUARANTEED? High school graduates head off to college because it’s the obvious and expected next step in their educational journey. Parents invest in higher education for their children to set them up for success as they enter the job market. Historically this journey has delivered the necessary career launch-pad for graduates. Yet today the picture isn’t so rosy. 86% of college seniors are graduating without having secured a job. Suddenly the once trusted route to higher paying jobs, a college degree, is no longer delivering the expected return. Now what? Similar to the process high school students undergo with SAT tutoring to raise competency levels for college acceptance, our college grads need a process to increase business/leadership competency for job acceptance. Solution: Leader Corps. 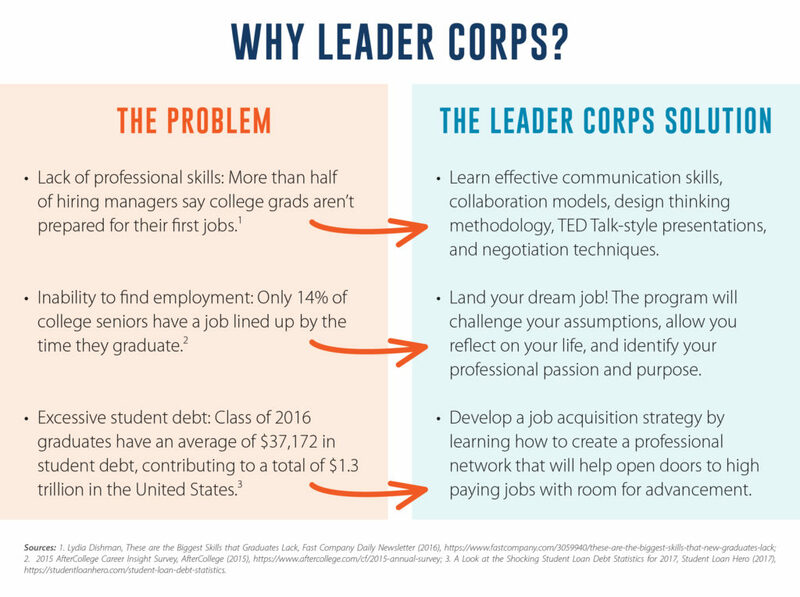 Developed in partnership with Rustic Pathways, the leading provider of international community service, education, and adventure programs for students, Leader Corps solves a number of problems recent college grads face as they prepare to enter the workforce. Leader Corps is an intensive three-week professional development course delivered in global immersive locations that helps students land their dream jobs and positions them for successful careers. 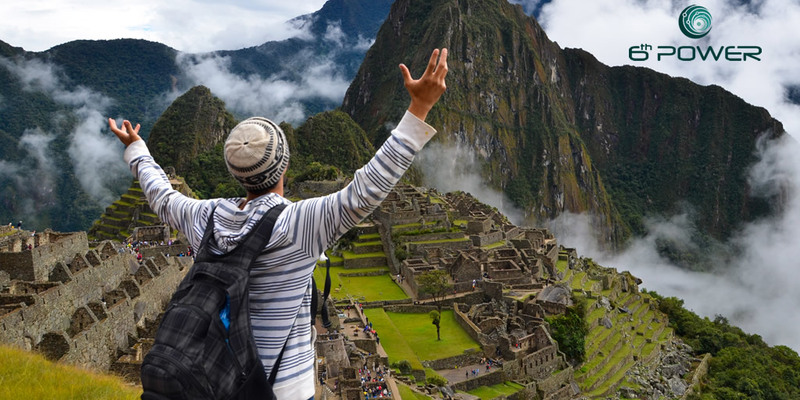 Enroll in the Leader Corps Peru session this summer June 15-July 6 to get a leg up on the competition! 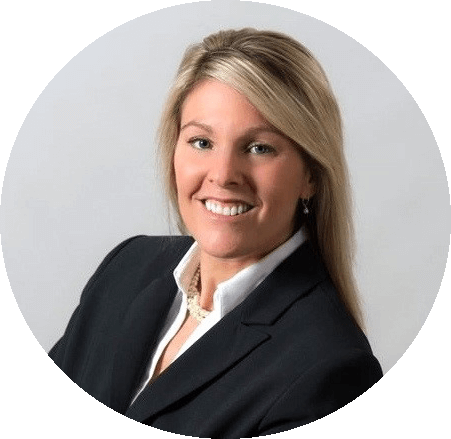 If you need more information about how Leader Corps can teach you the skills necessary to land your dream job and succeed professionally, request a call from me or Rustic Pathways CEO Chris Stakich. a) Graduate from an accredited 4-year university. b) Apply to at least 4 jobs each month over the 12-month period following their graduation from college, and not less than 50 jobs in total. c) Leader Corps will recommend positions for which participant should apply. Participant must apply for at least half of the recommended positions within a week of receiving the recommendation, though is not required to apply for more than 2 recommended positions per month. Applications to recommended positions count towards the minimum application threshold stated above. d) Promptly return emails and phone calls from recruiters and potential employers. e) Show up timely for scheduled phone or in-person interviews. f) Follow the recommended dress code. Receiving a Qualified Job Offer satisfies the guarantee, whether or not the participant accepts the job offer. A “Qualified Job Offer” is a job offer that meets the following criteria: a) Full-time employment, whether salaried or hourly. b) Minimum annualized pay of $30,000, assuming 2,080 working hours in a year. c) There is no requirement for health insurance, vacation or sick days, or other employee benefits to be included in the offer. d) There is no minimum title required as entry-level positions are a great place to start!